My whole life I have eaten burgers on Sundays. As a kid, when I would get home from Sunday school, there was always freshly grilled hamburgers waiting for us. To accompany the burgers, there always was a flimsy paper plate filled with all of the appropriate burger toppings. Everyone in the house constructed their burgers in different forms or fashions. The construction process was an art form that possibly took longer than actually eating the burger. 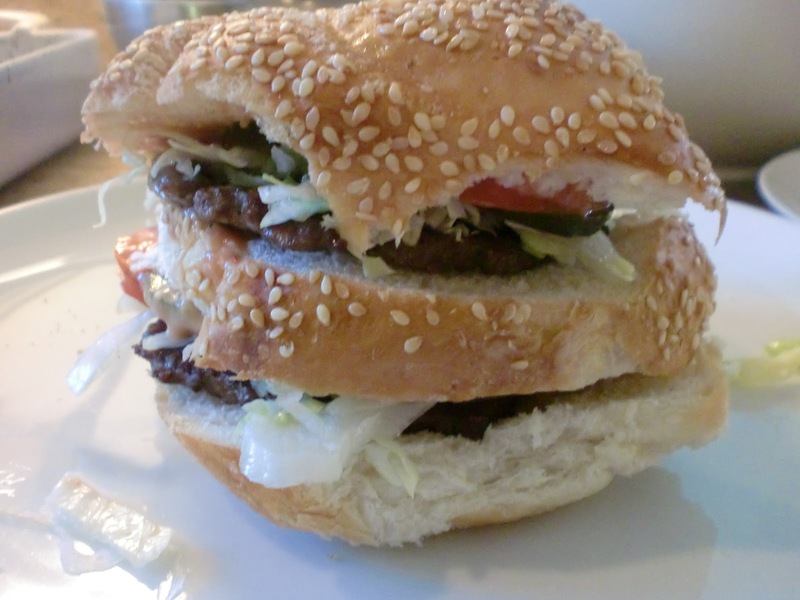 I remember how my sister Ashley would perfectly cut her burger in half. To this day, I still try to cut my burgers like that. I still enjoy having burgers on Sundays, but these days I have fun creating all different types. Tonight, I decided to make double decker burgers. 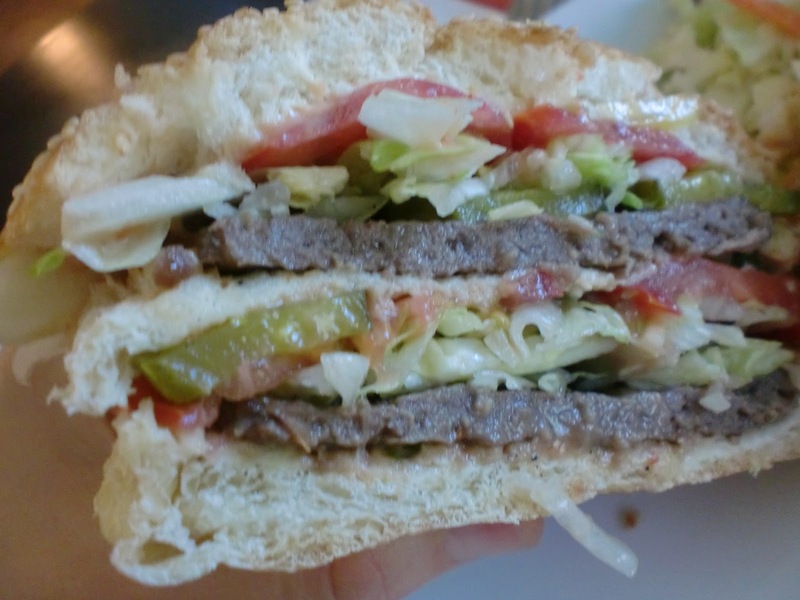 These delicious monstrosities consist of a bun that is cut into 3 parts, 2 very thin meat patties, and toppings of one's desire. 3. Use something round (about the same size as the buns you have), and use a paring knife to trace around the round shape to create patties. 4. 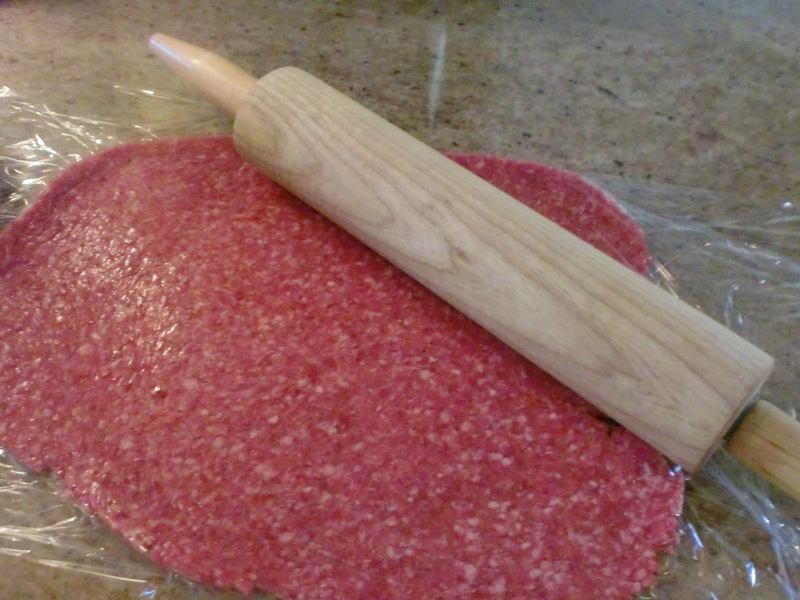 Place the patties on a plate, and seperate each patty either with wax paper or parchment paper. 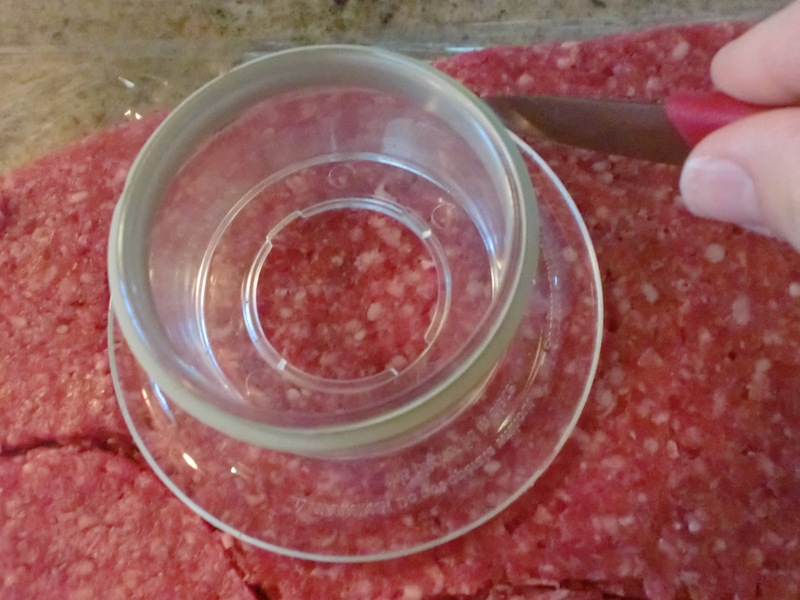 You will have leftover meat after you take out the circle patties, you can reroll and recut until all gone. 6. Heat your grill. Grill until cooked through or to your liking. 7. Take an unsliced bun (you can find these in the bakery section of the grocery store, you may have to ask for unsliced). Carefully slice it into 3 pieces. Place a grilled patty in between each piece and add your desired toppings. 8. Cut like Ashley does (however she does it?!) Eat it and enjoy!